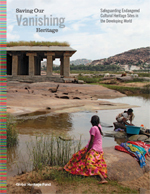 The most vulnerable global heritage sites are found in countries where there is war and crisis, political instability, or rapid economic transformation. Often losses can go undetected for many years, with sites getting little attention from the local or international community. Much of this loss can be controlled through better planning, community involvement, and management, but these are often missing in countries where the need is greatest. In a world that is becoming increasingly homogenized, these treasures are unique and priceless cultural assets, providing a basis for national identity, scientific and historical research, sustainable tourism, and other economic development opportunities for future generations. A 2007 UNESCO study of over 2,000 World Heritage Site status reports found that nearly one third reported damage that might qualify the site as endangered or threatened. Human action caused the problem in 83 percent of these cases, while only 17 percent involved damage due to natural causes. 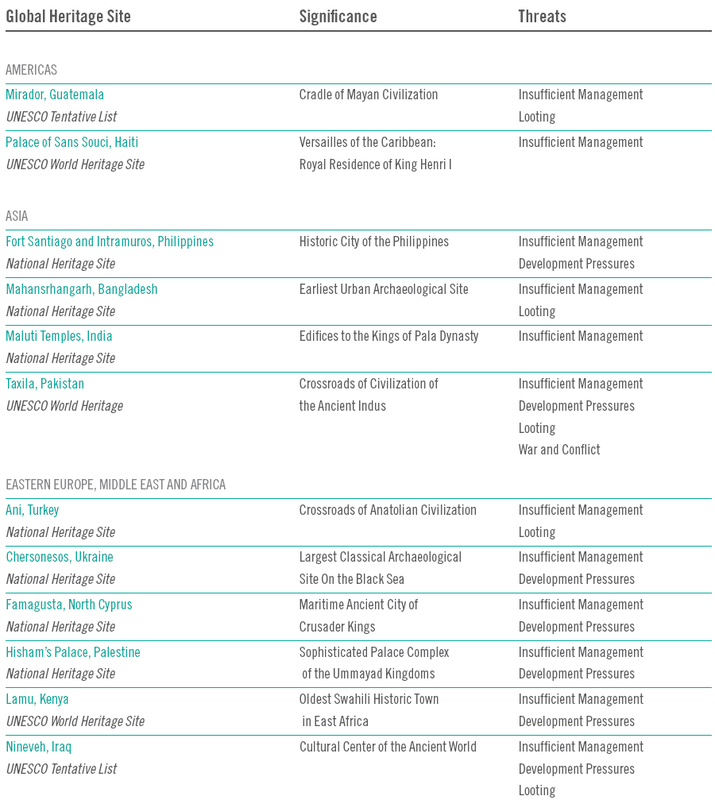 As of 2009, 31 World Heritage sites were listed by UNESCO as “in danger.” The fact that even designated UNESCO World Heritage sites are suffering neglect, damage, and loss suggests the large scale of the global crisis. The 12 Sites on the Verge listed below are a just a few vivid examples of the nearly 200 sites facing irreversible loss and destruction today. All of the Sites on the Verge sites are endangered by multiple simultaneous man-made threats from development pressures, unsustainable tourism, insufficient management, looting, and war and conflict. For further information, see Global Heritage in Peril on the right. To read more, download the full Report on the right.